A day late with this but I still wanted to post it since I took and edited the photos already. 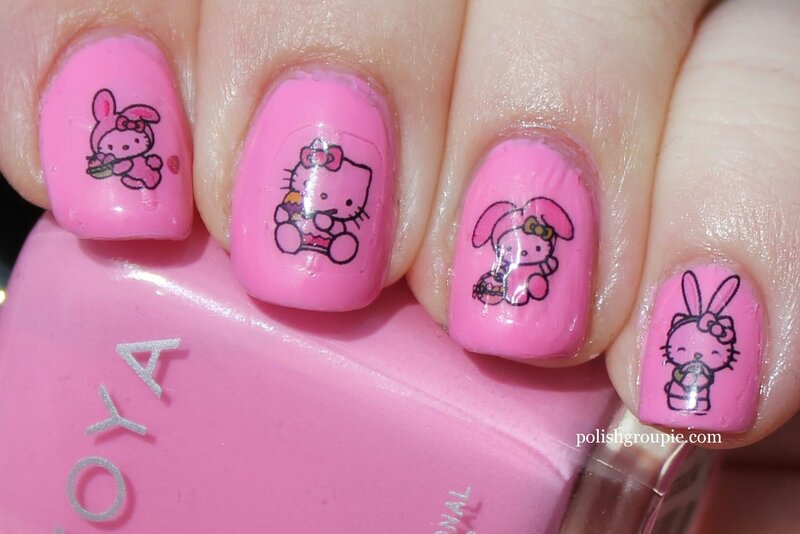 This was a quick and dirty manicure I wore for Easter, though I can’t say it was one of my best. I started with Zoya Sweet, a bubblegum pink creme. I was not very happy with the application. It went on pretty patchy with a fair amount of balding. It looked okay with two coats on my right hand but for some reason I needed three on my left to get adequate coverage, and then an additional coat on my ring finger because I accidentally dinged it before it was dry. 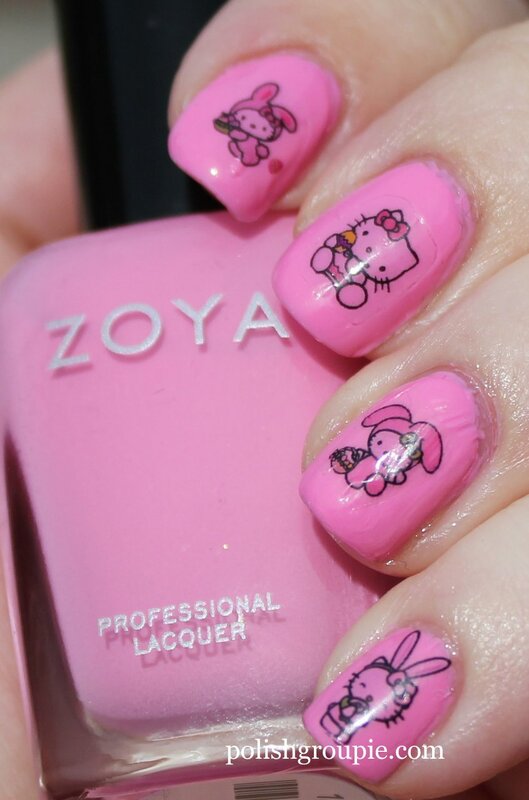 I added one coat of Poshe fast-dry top coat and then I added Hello Kitty Easter water slide decals from RLR Creations. 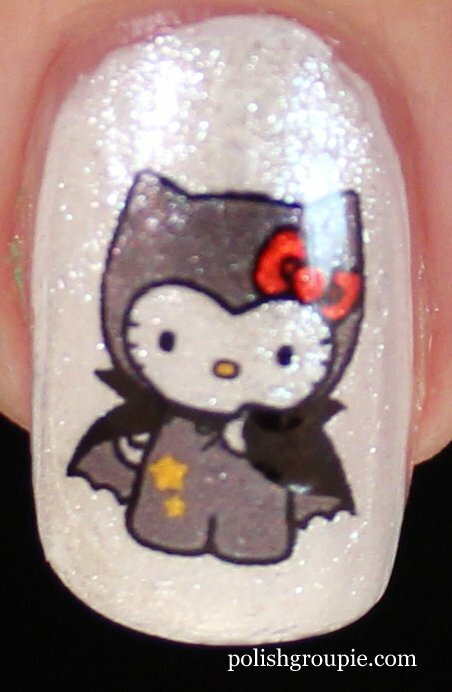 They would have looked better over white polish but I had already done that for my Halloween Hello Kitty manicure, so I was curious to see how they looked over a color. Meh, not a fan. I finished it off with a coat of Poshe. 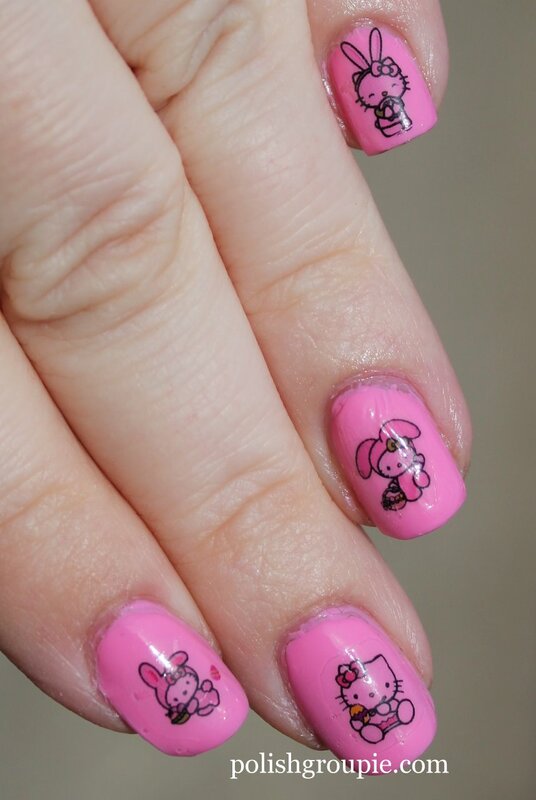 I did the manicure Saturday night and took the photos on Sunday morning. Within that time, as you can see, there was significant shrinkage around the cuticle line. 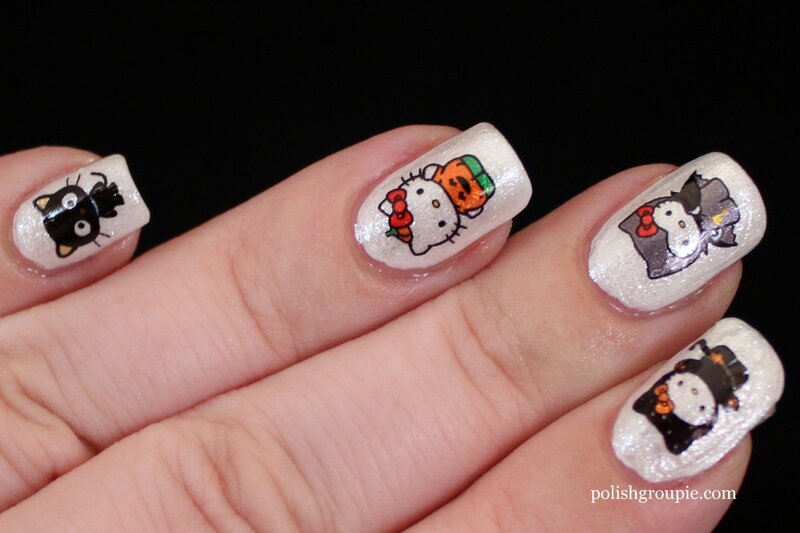 I find that Poshe has trouble with shrinkage on thick polish so I think the build-up of layers worked against me here. I also dinged up the ring finger when applying the decal. Ugh. Happy Halloween (again)! 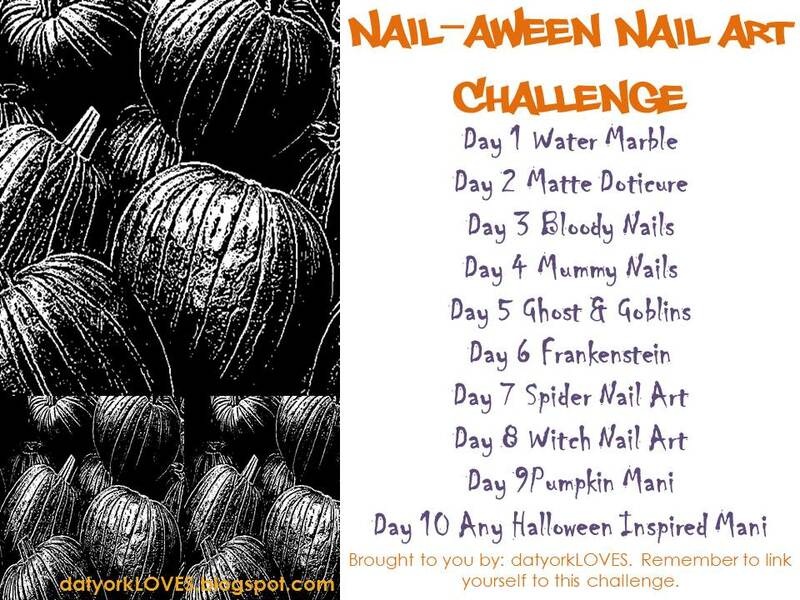 This is my second post of the day because I need to finish out the last day of the Nail-aween Nail Art Challenge from datyorkLOVES/SassyNails. Day 10’s prompt is a general one, it just has to be inspired by Halloween. 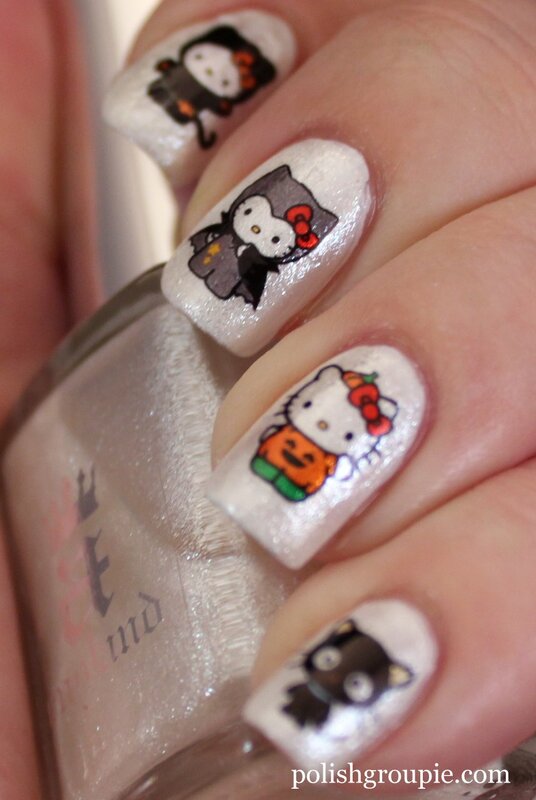 I saw these really cute Halloween-themed Hello Kitty water decals on eBay and had to have them. I bought them from RLR Creations. I actually had originally ordered some witch ones that I was going to use for the Day 8 Witch theme, but Rachel accidentally sent these instead. But she was very quick to rectify the situation by offering me a free set, so keep an eye out for a pilgrim-themed manicure around Thanksgiving! 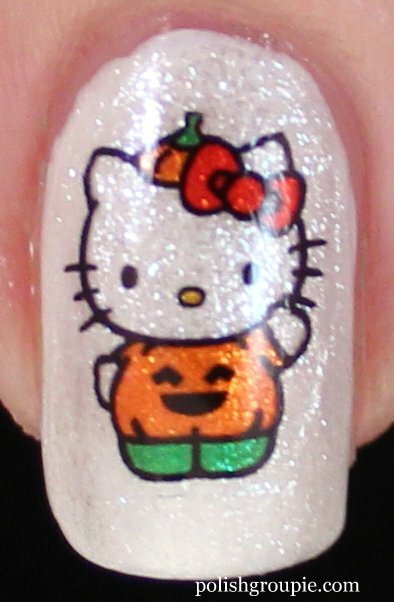 Note that anything that looks white on the decal is actually clear, so if you want Kitty’s face to be white, you have to use white polish underneath. Rachel recommends using a light color underneath but says darker ones will work too. I started with one coat of Ulta Snow White, a basic white creme, and then I added one coat of A-England Morgan Le Fay, which is a super-shimmery sheer top coat. 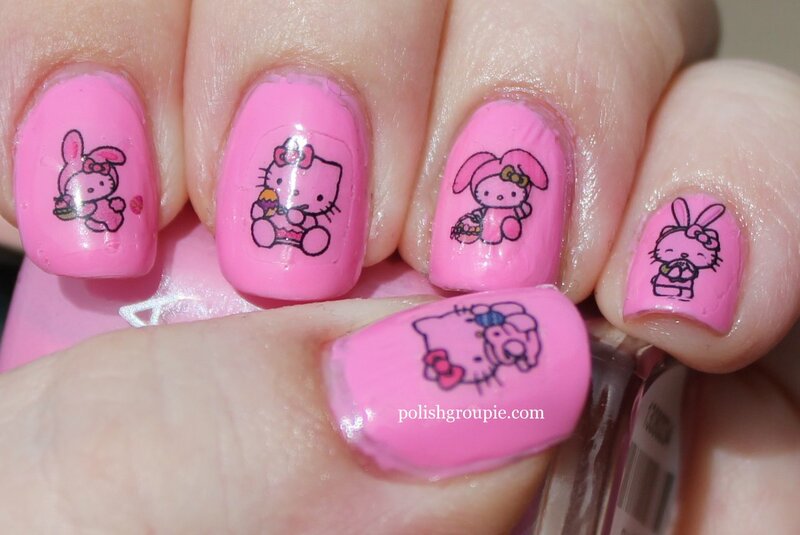 To use the decals, you cut them out, soak them in water for 15 seconds, separate the backing from the decal and place the decal on your nail. Slide it into position, let it set for about a minute or so and then add top coat. I used one coat of Poshe fast-dry top coat, but they do feel a little bit bumpy so next time I will try one coat of Gelous first. 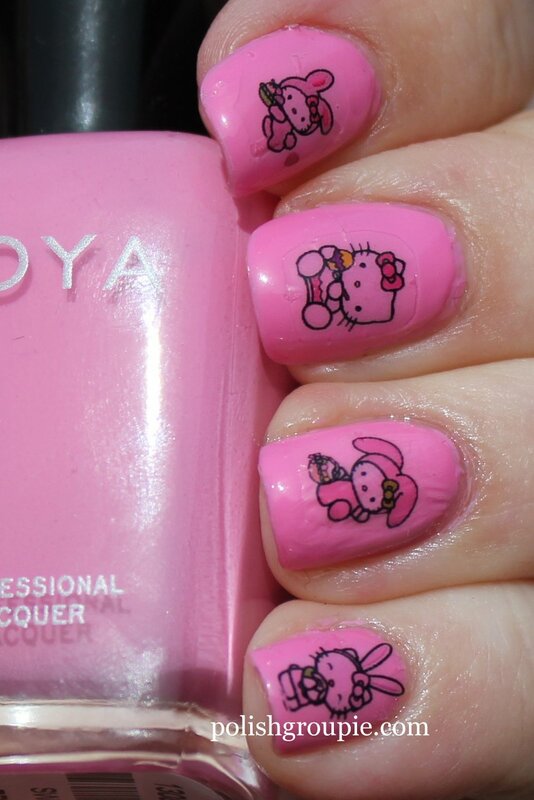 There are tons of water decals for nail art available on EBay and Etsy, so check them out if you’re interested. You also can buy water decal paper on EBay and print your own, but I haven’t tried that myself yet. If you have, let me know how it went! 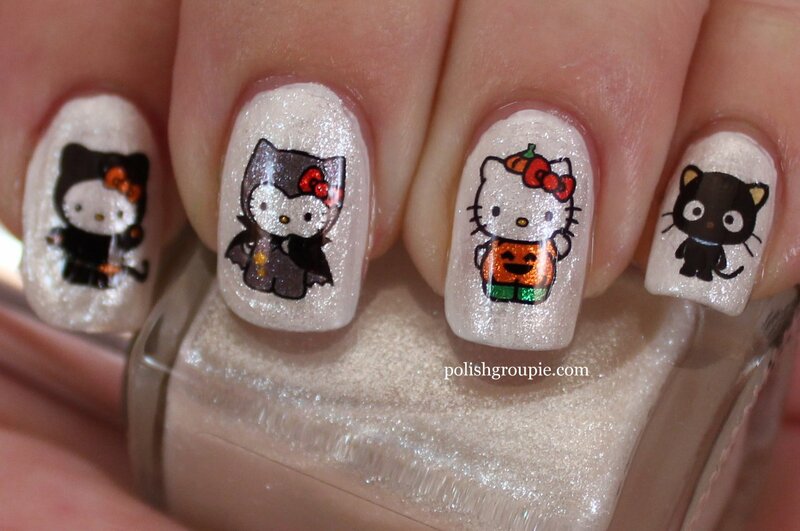 Check out all of the NailAween Nail Art Artists!